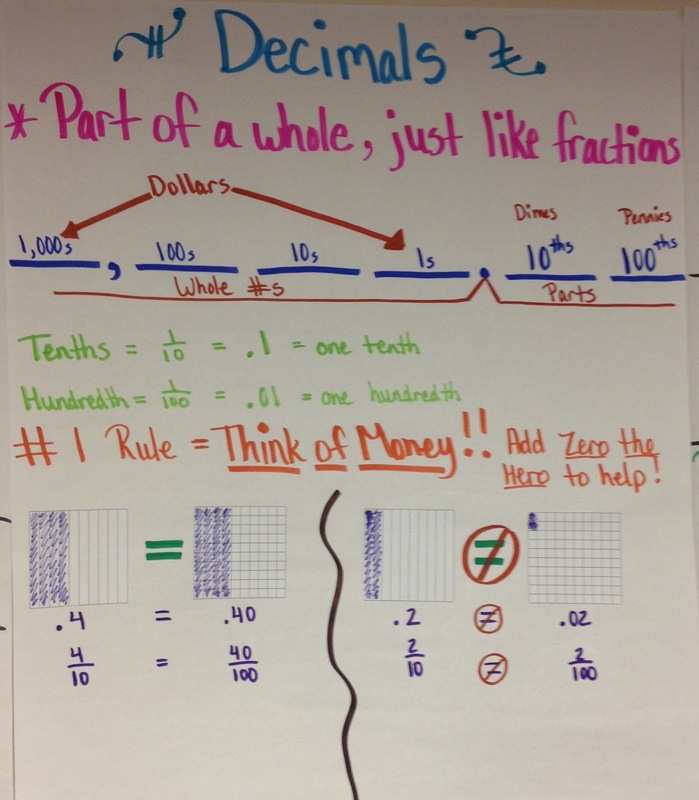 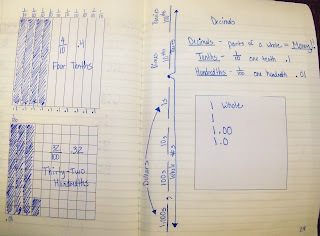 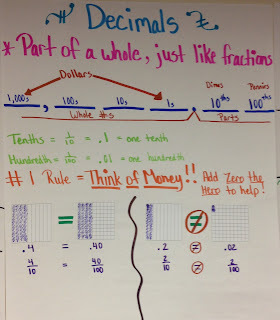 As we introduced decimals, we talked about their relationship with fractions. 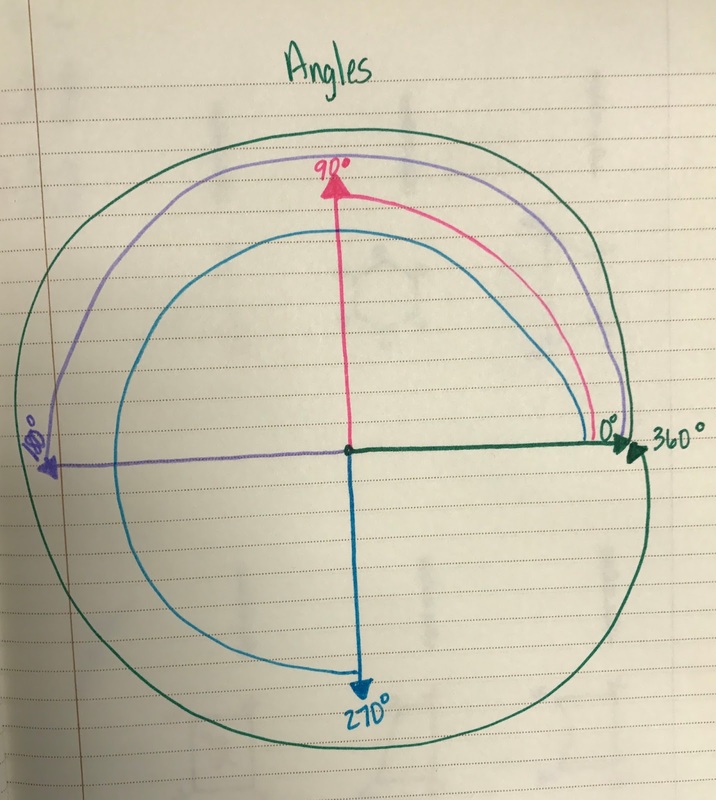 Both are parts of a whole. 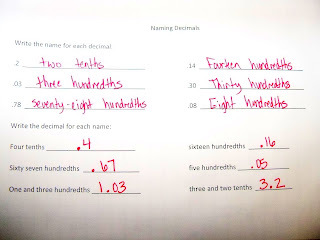 We focused on our base 10 number system, and the pattern it follows. 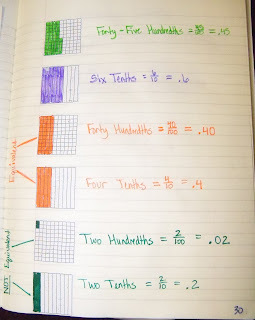 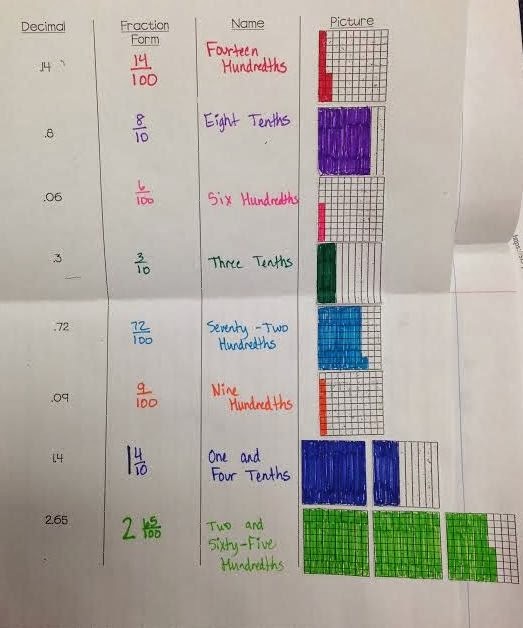 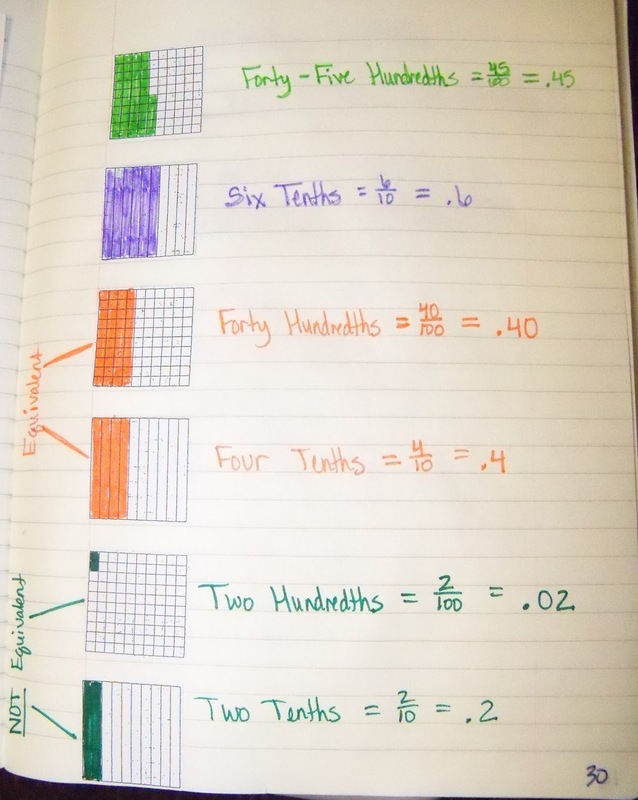 We always spend lots of time looking at picture examples, naming them in mathematical language, relating them to fractions, and labeling them. 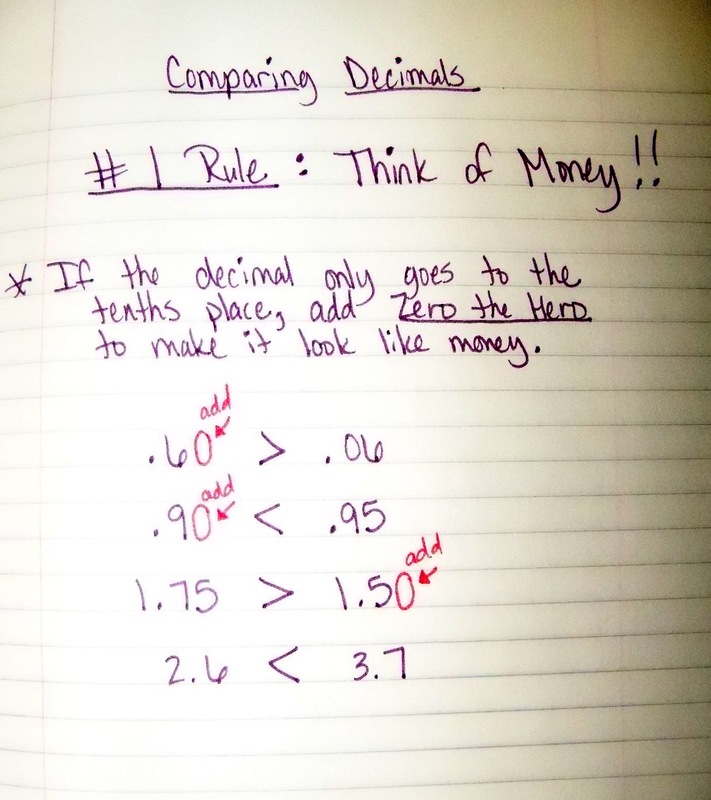 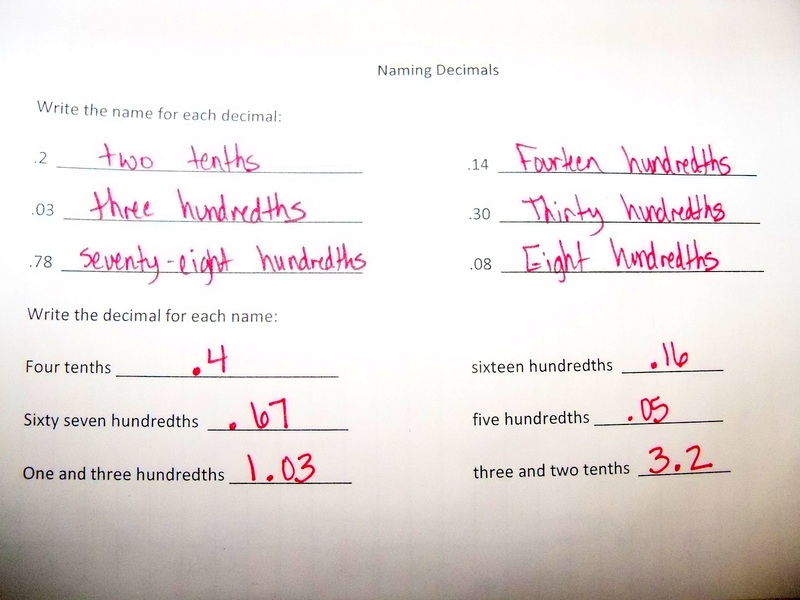 The biggest connection our kids make with decimals, is its relationship to money. 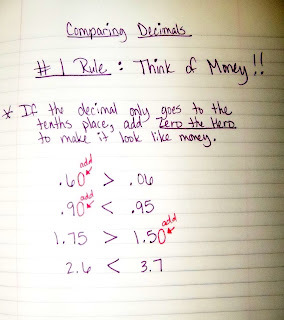 We take lots of time to relate the tenths place to dimes, and the hundredths place to pennies. 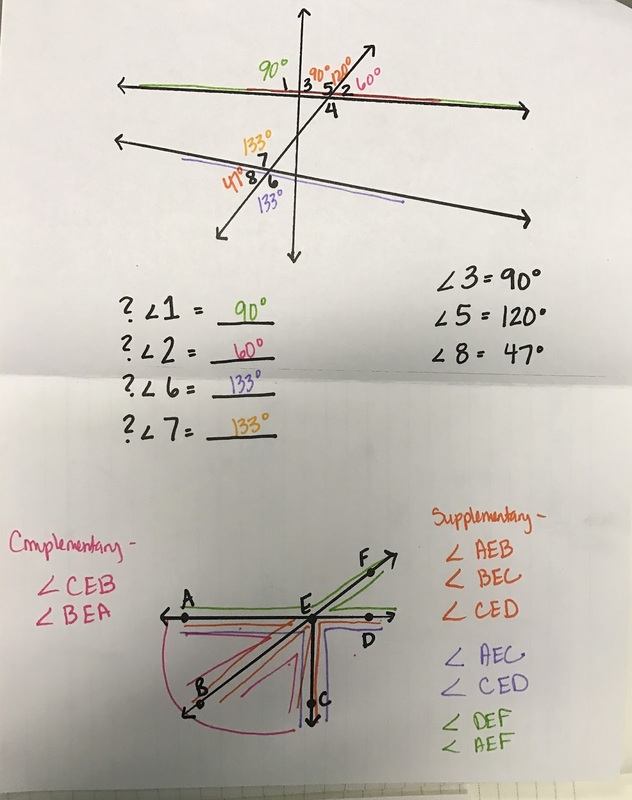 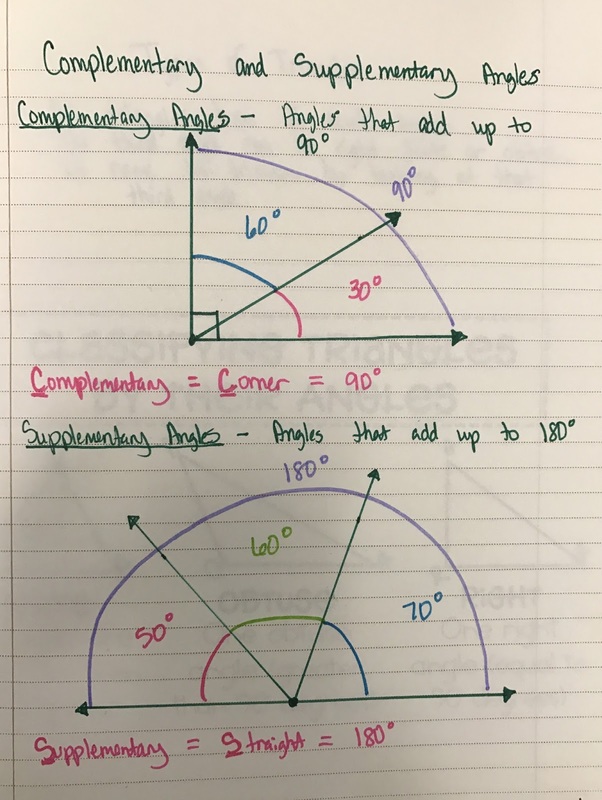 Today we looked at complementary and supplementary angles. 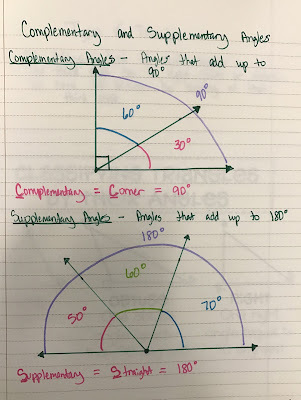 Complementary angles are angles which add up to 90 degrees. 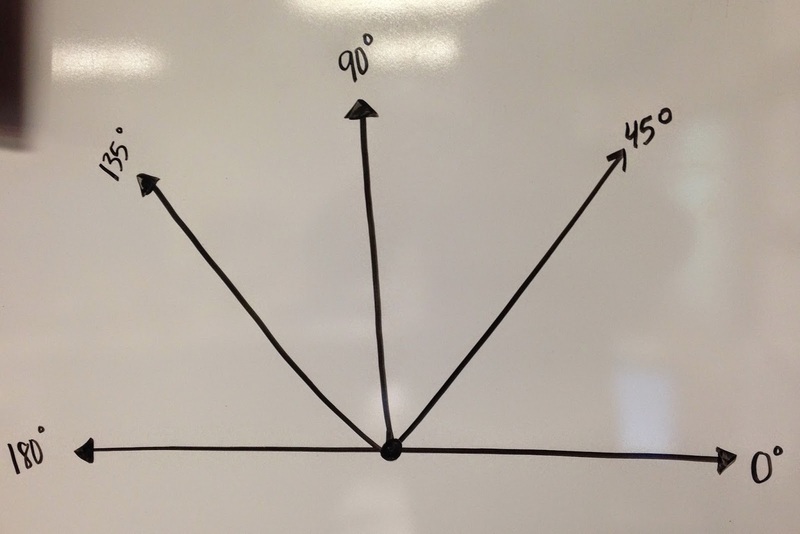 Supplementary angles are angles which add up to 180 degrees. 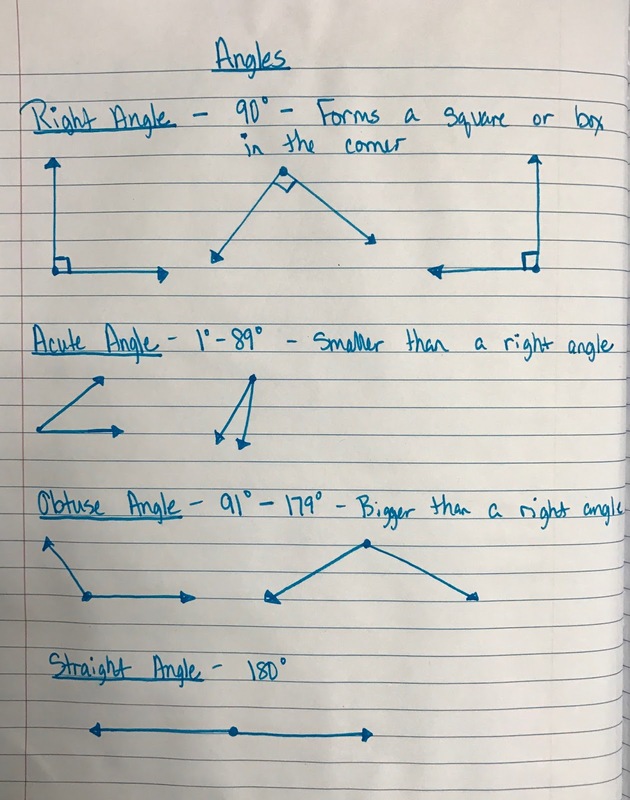 We can use what we know about these angles, as well as look at their adjacent angles, to determine missing angle measurements. 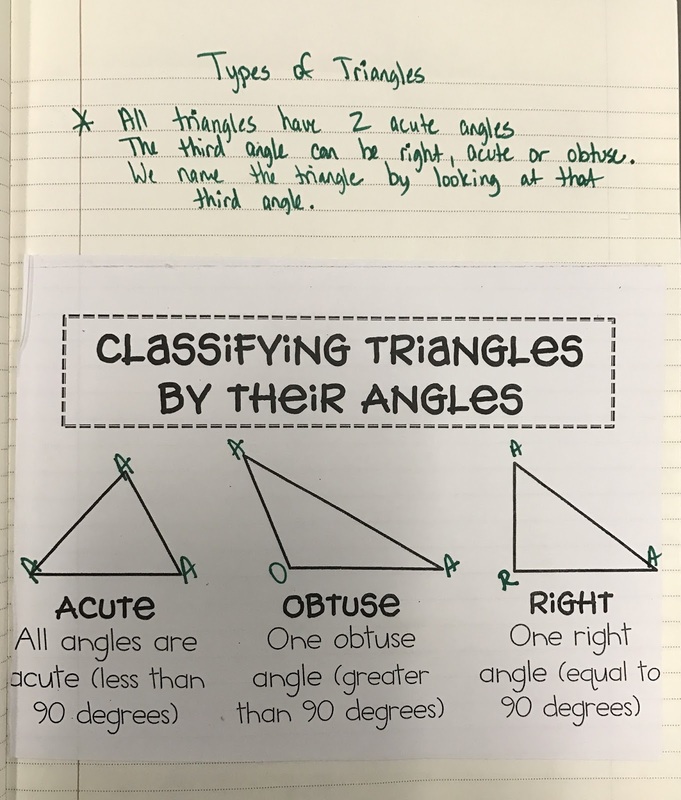 Today we learned about different types of triangles - right, acute, and obtuse. 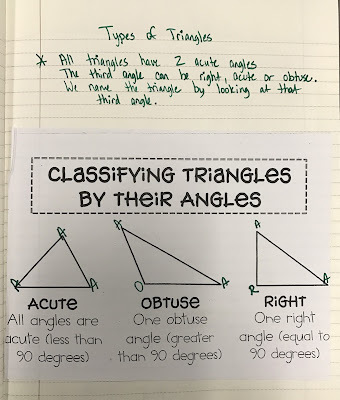 We discussed that all triangles have two acute angles. 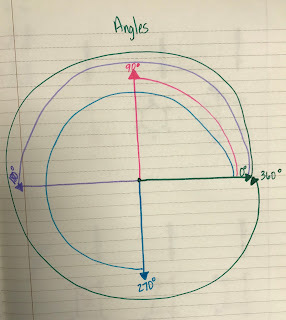 The third angle is what determines its type. 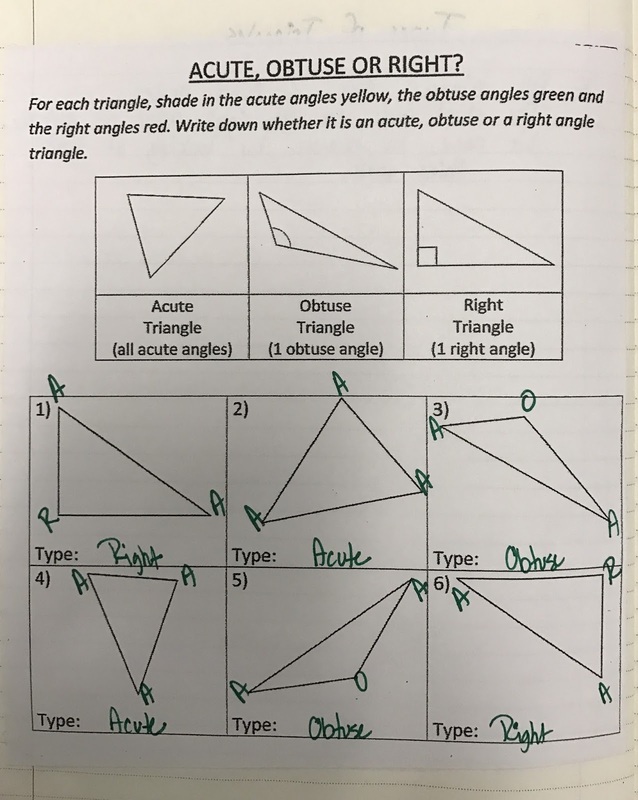 If the third angle is also acute, it's an acute triangle. 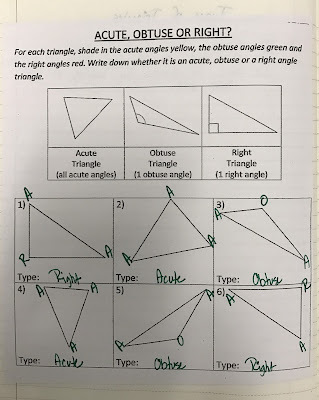 If the third angle is right, it's a right triangle. 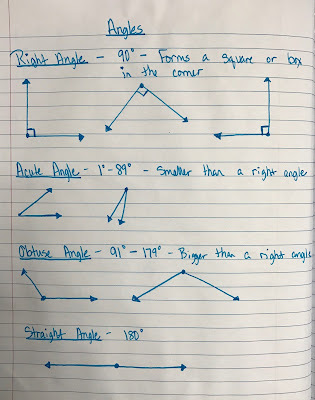 If the third angle is obtuse, it's an obtuse triangle. 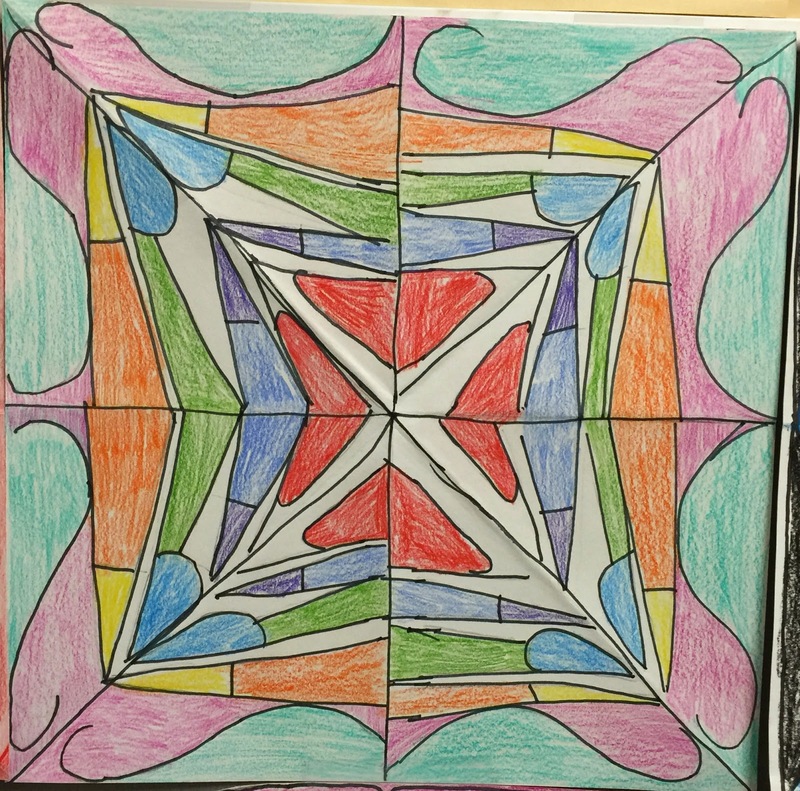 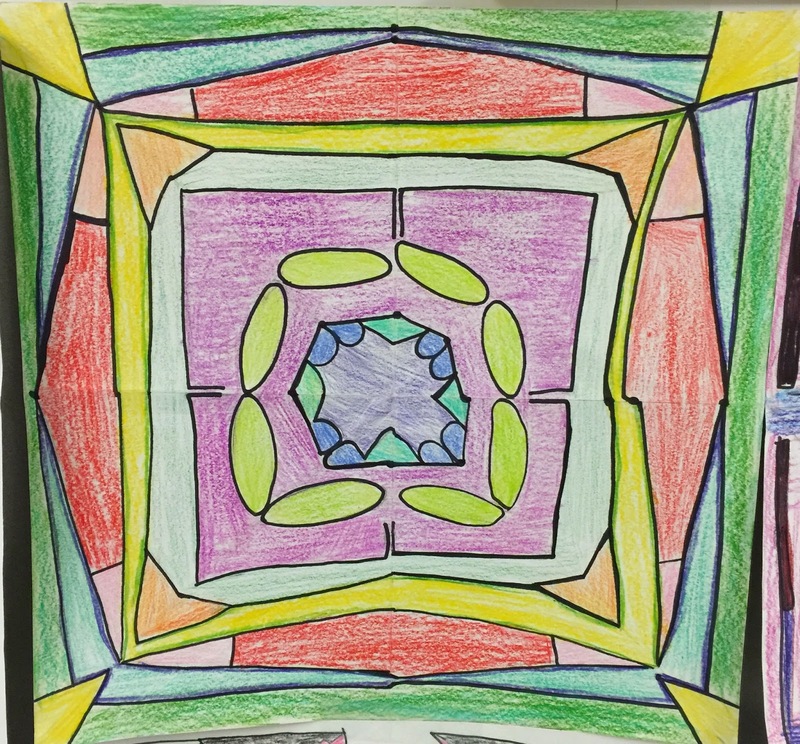 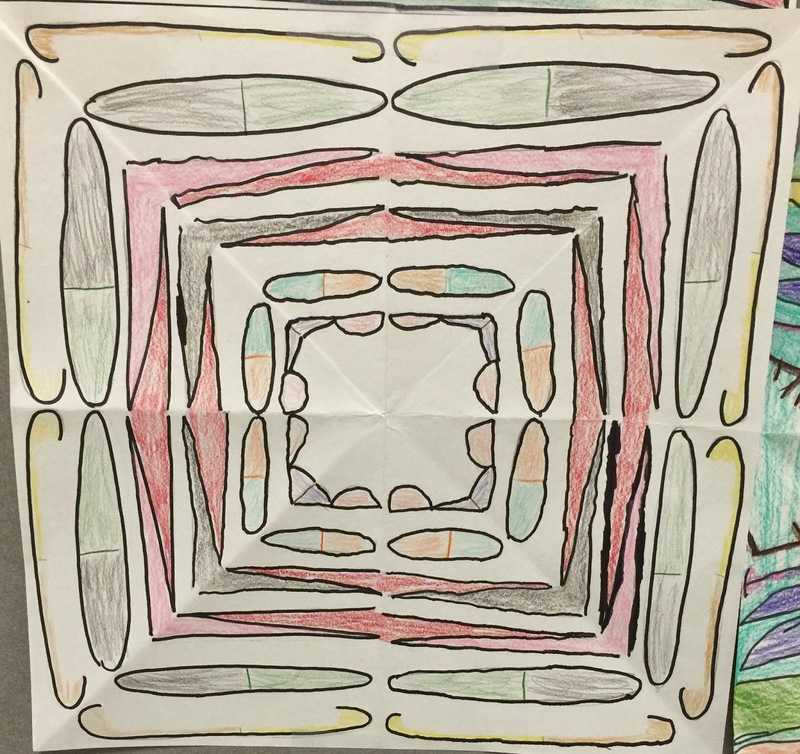 We began lines and angles this week. 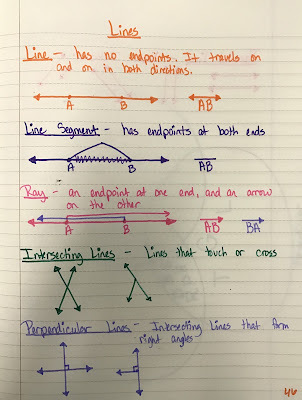 We began with introductions of the different types of lines and angles, then moved to making them on dot paper. 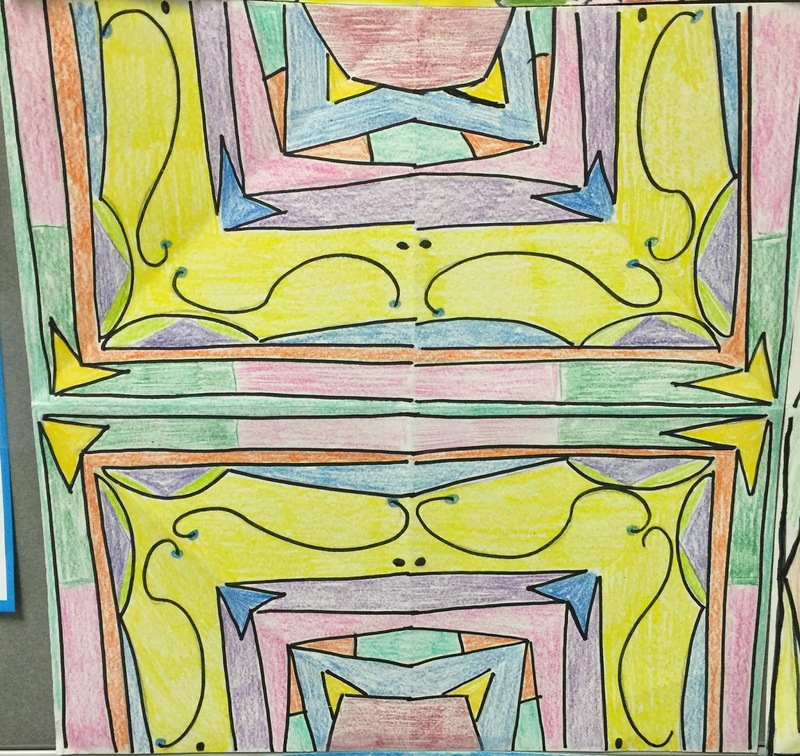 We moved on to looking at specific lines and angles within a large collection. 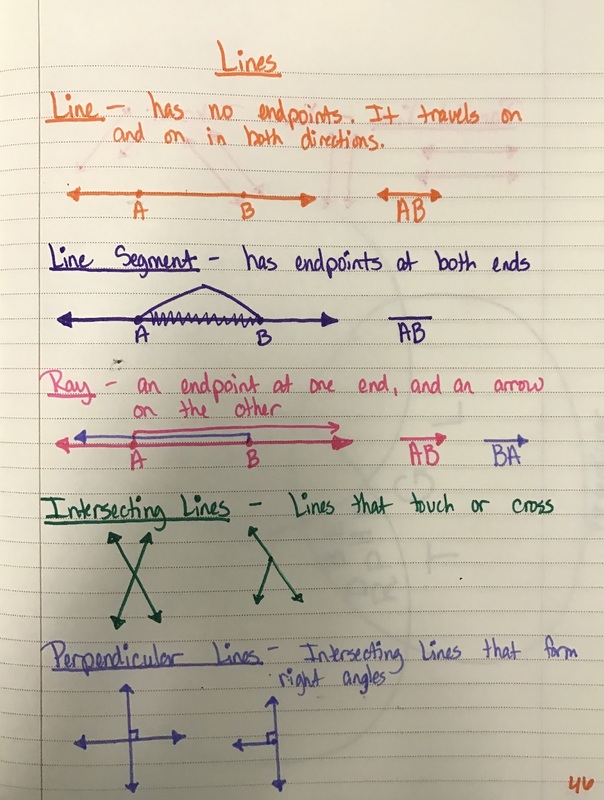 This lead to the discussion of why it is important to have points on our lines - so we can name the ones we're specifically trying to reference.